I tried to give this game the old college try….twice. I just really wasn’t a fan of this game, but tried it out because I heard such great things about it. I found that Borderlands tried to be too silly at times and many missions were just too boring for me. I am a fan of the RPG style leveling up of abilities based on what weapon you use. I like that my character levels up by the style of play that I like to use. 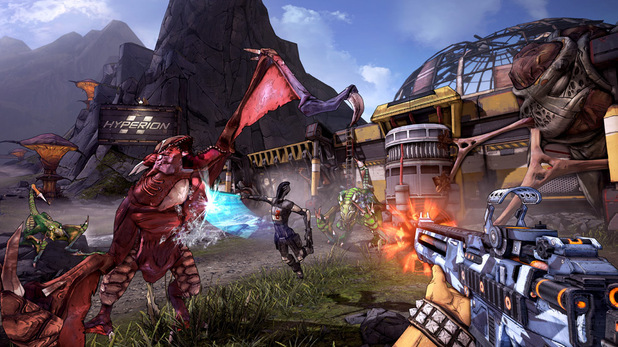 The game doesn’t force you to play a certain way and gives you a multitude of weapons at your disposal. There are a lot of open spaces in each level and with enemies respawning you’ll always have something to kill. This game had a lot going for it. I was even a fan of the cartoon style graphics. But again I felt this game was at fault by some lazy missions of going to a place, pressing X, and going to another place and pressing X. I give the game a 2/5. It had some fun moments, but most of the time I was waiting for what people were clamoring about. Before I go into this review I must first state that I did not play the previous Crysis games in the series. I picked this game up randomly at a game store and never even heard about the game. That being said I liked the game a lot. The only problem I had with it, was that the game didn’t explain fully what happened in the previous 2. You are just thrown into what seems like a changed world and barely get any knowledge of what is going on. Now again, I never played the previous 2 games, but I’ve played sequels before. I picked up Mass Effect 2 before playing the first one and knew everything I had to about the previous game. 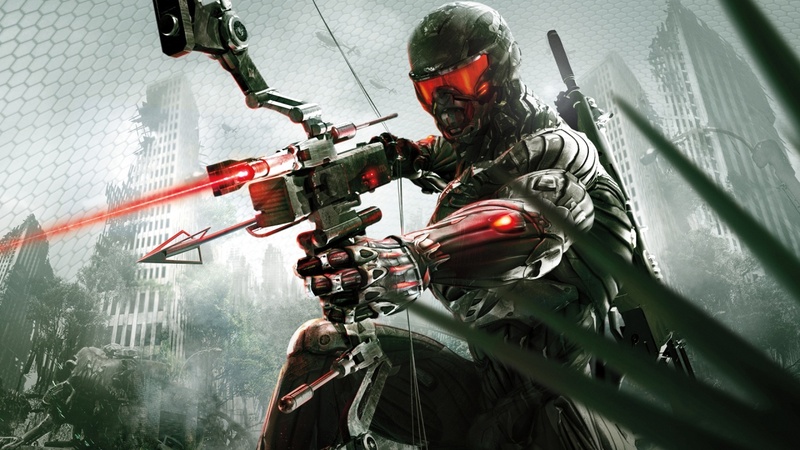 Crysis 3 had everything you could ask for in a first person shooter. This game would’ve received a perfect 5/5, but the lack of knowing what was going on killed it for me at spots. You play as Prophet, a soldier strapped into an alien suit of armor. The suit gives you Predator like abilities. Enhanced strength, invisibility, shields and enhanced leaping ability. There is a large amount of customization in the game from different power-ups your suit gets and also the different weapon modifications you can do on your guns. You even get a bow and arrow with different modifications. You can even set how much torque is in the bow when you pull back. Different torque leads to faster or more powerful hits with the arrows. AGAIN this game is PERFECT, but I don’t know WHT THE HELL IS GOING ON! I thought Prophet was an alien working with the humans. You are with a squad mate Michael, who apparently was also in a suit, but was taken out for some reason. You’re fighting this group of random human grunts called CELL, but their intentions are pretty unknown. 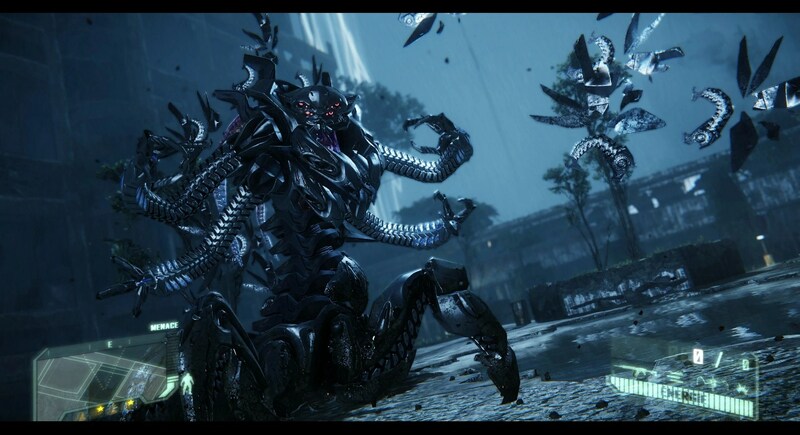 Also aliens called Ceph, which I think is where the suit came from. There is little information about them except a few written texts you find along the way. This game gets a 4/5, but can easily have been a perfect game if they would’ve had a few flashbacks that explained what was going on or just a character to explain what was going on. And it’s not laziness or sheer neglect on my part. I don’t think I HAVE TO play to previous two games to know what was going on in the third. I hate to dwell on it, but it’s not hard to explain something to people who haven’t played the previous games before. The way I would’ve done it is simple and quick. It’s a rough idea and I’m writing off the top of my head so this isn’t elaborately thought out. Show the Earth, aliens invade, soldiers fight back, how does Prophet get the suit, a little about the other characters, what CELL is, aliens getting wiped out, something significant that happened in the second game and what leads you to the opening scene of the third game. SIMPLE! I don’t even know who ran CELL. Who is in charge of it? For all I know they were random grunts that I wanted to see how many I could kill before someone fired a shot at me. Baring my rant, I give this game a great 4/5 and a must have for previous players of the game and fans of first person shooters. The makers of Mortal Kombat have outdone themselves with this amazing adaptation of a comic book. Injustice follows the storyline of how our greatest heroes become our greatest threats. The game is a primarily a 1 on 1 fight, but with an amazing storyline. The storyline alone is worth the games asking price. It features an alternate world where Superman has been pushed to the breaking point and started his own army. He waged war against all who opposed him, including that worlds Batman. The game has you traveling between dimensions and fighting as a multitude of its characters. You even get to play as the Joker in his storyline. The fighting is well done. Each level allows you to interact with the environment. You can hurl cars and your enemy and even shoot them into other dimensions. Each character has specific moves for each and you can unleash powerful finishers to incapacitate your foes. Each character is vastly different and has their own strengths and weaknesses. 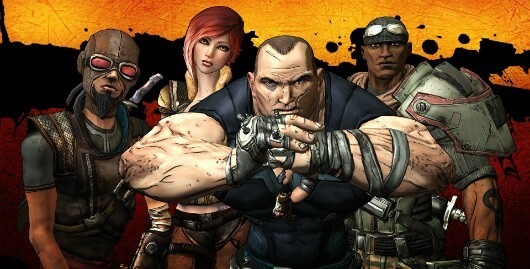 There is a wide array of characters and I will be writing an article about each one. 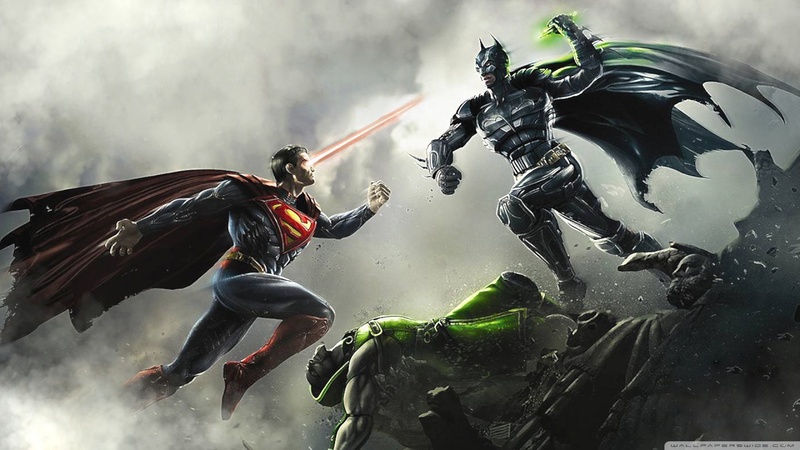 I give Injustice a well-deserved 5/5 and a must play for fighting fans. I only hope that one day the creators make a Marvel version. Very cool character to use. He constantly adapts to the class that’s most beneficial for you. With ever turn you gain new attacks that are vastly different from each other. The problem is you have to win a lot of Player vs. Player matches to get him. It would’ve been so much better to just shell out 90 Command Points and buy him. He is worth the effort. He is a couple different characters combined because he changes every turn. He is very worth getting. This is what the Hulk should be. 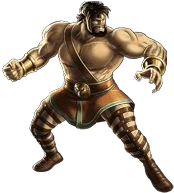 Hercules is beyond powerful and deals out outrageous amounts of damage in a single strike. Well worth the 90 Command Points it takes to recruit him. He uses Protect, which lets hit get hit instead of your allies. With each attack he gets stronger and deals out more damage. He will start off as your strongest character, so imagine how powerful he can get if you keep on using him. Great character to have. She does it all. Incredibly strong, able to protect allies, flies, takes reduced element damage and those are just her at an early level. The only thing she doesn’t do is heal herself, but it doesn’t matter. She will end matches early. Attacks like Tornado and Blizzard can kill all your enemies at once. She is one of the best characters in the game and a must use for players who want to dominate early. I have her on every team I use. He’s fun to use, but not worth 135 Command Points. All his attacks do other things, they give you Perks and can damage your enemies, but there’s just too much glamor to him. He does too much to a fault. The Perks he gets you don’t really do much and it forces you to stretch your matches to use them. My matches are short. I don’t play around with opponents. Deadpool is mostly fun and games and little to back it up. He does have a healing factor that I love, but it’s not enough to justify getting him. He doesn’t even cause Bleeding. He attacks with swords and doesn’t make the target Bleed? I really don’t see the point in having him. He looks cool and is great if your matches are long and drawn out, but if they are it could be because you have people like Deadpool on your roster.